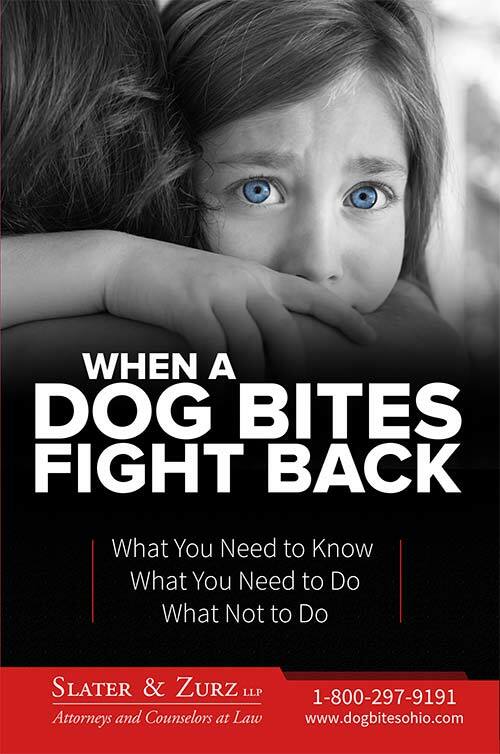 This book was written by the dog bite lawyers at Slater and Zurz LLP. It is your all inclusive guide to dog bites in Ohio. It will give you valuable information about Ohio Law and dog bites, as well as what you should do if you’re bitten, and what to avoid. To request a free hardcopy of this book, click here. You can download this book for offline reading. Choose your format: pdf or epub.